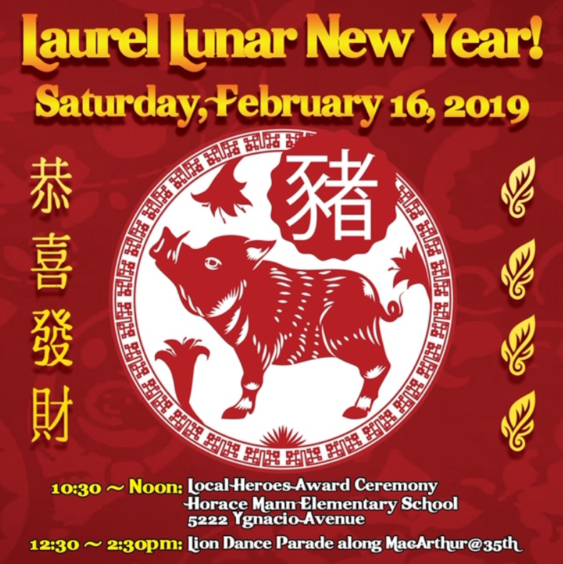 The Laurel District Association invites you to participate in Laurel’s Annual Lunar New Year’s Celebration to welcome 2019 Year of the Pig on Saturday, February 16, 2019. Oakland Councilmember Sheng Thao kicks off the day honoring Oakland District 4 volunteers during the Annual Local Heroes Ceremony at Horace Mann Elementary School from 10:30 am – noon. Local heroes have worked tirelessly for the community and are recognized for their contribution and passion to serve others. Following the ceremony, there will be a Lunar New Year Lion Dance Parade through the Laurel Business District where a traditional Chinese Dragon dance procession will travel down MacArthur Boulevard to bless local Laurel District businesses from 12:30 – 2 pm. 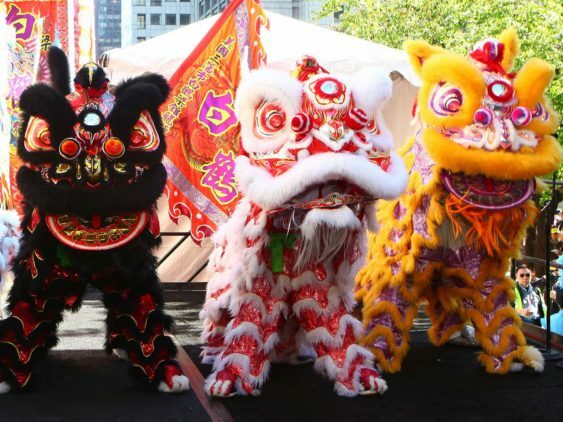 Lead by Sifu “Master” Lacy, the Buk Sing Kung Fu Academy of Fremont will mesmerize the crowd by unleashing two amazing lions accompanied by drummers, firecrackers and offerings to bring luck and welcome the Year of the Earth Pig.